Please read our rules which exist to make your time at the pool enjoyable and help keep all MGAC guests, users, occupants, etc (MGAC Users) safe. Children under 8 years of age must be accompanied by an adult at all times. Please stay within arm’s reach of your children and be vigilant. A ratio of 1 parent or guardian for every 2 children under the age of 6 will be enforced for safety’s sake. Please do not exceed this ratio. Children under 13 must be accompanied by an adult and supervised. Unreasonable, threatening, harassing, indecent or illegal behavior will not be tolerated. PCHS reserves the right to evaluate behavior and respond accordingly. This right includes suspension and/or termination of MGAC access/use as solely determined by MGAC and/or PCHS Management. All MGAC Users must check in upon arrival. 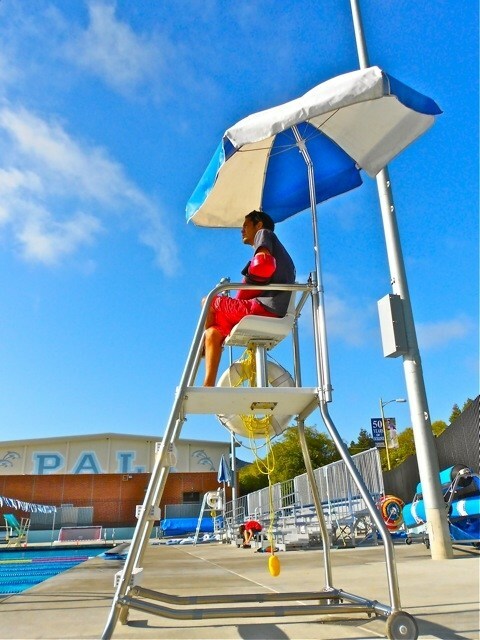 MGAC Users must adhere to all instructions given by lifeguards and PCHS employees. Children under age of 13 must be accompanied and supervised by adult. All children under 18 must pass a swim test, determined acceptable or not by our lifeguards, before swimming in lap pool. All children swimming under 8 years of age alone in small pool must pass a swim test as determined acceptable or not by the lifeguard on duty. No diving into shallow water. No jumping or diving from the competition blocks. No free swim in permit space. No swim lessons or team workouts allowed without a valid permit with facility. Examples of a lesson: A person walking up and down the deck or positioned at end of lane, instructing swimmer in technique and corrective feedback. Example of a team workout: A group of swimmers involved in the same set in an obvious interval training practice. No parents permitted at pool deck edge or on blocks. Share lanes and circle swim when pool is busy. No breath holding or hypoxic work permitted. Running and rough play is prohibited. Vaping, smoking and consuming alcoholic beverages is prohibited. Children who are not potty-trained must wear swim diapers. Use of flotation devices is not allowed. This includes water wings and inner tubes. Easily breakable containers of any kind (i.e. glass bottles) are not allowed. No animals allowed. Trained Service Dogs under the control of their owner/user who has a disability, and the Service Dog is working or performing tasks directly related to the individual's disability, are welcome. Emotional support animals are not permitted on PCHS grounds, including but not limited to MGAC. Pool entrance only on Temescal Canyon Rd. You will be redirected if attempting campus side entry.